“For the thousands of women who suffered sexual violence during the internal armed conflict in many parts of the country, and for the thousands of girls and women that continue to suffer sexual violence today, today we have a date with justice. After more than 30 years of prolonged silence we have the possibility to achieve the justice that has been longed for. Today we stand before history to make a difference for Guatemala and the world. The women have spoken. 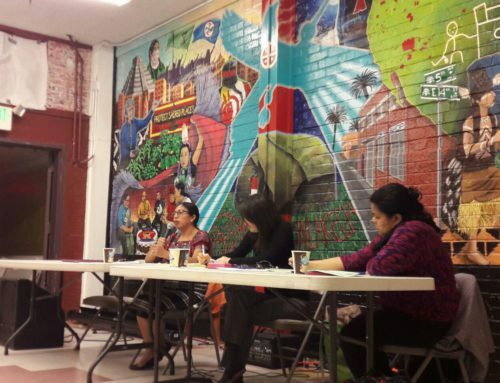 The women have been heard.” —from closing remarks by Ada Valanzuela for plaintiff organization National Union of Guatemalan Women (UNAMG, in Spanish). A verdict will be delivered at 4PM CST today, for the first case of sexual slavery to be tried as a crime against humanity in Guatemala and the Americas. For 20 days, plaintiff organizations and the women survivors of sexual violence and sexual and domestic slavery built a case against a former Colonel and former Military Commissioner for crimes committed at the Sepur Zarco military base in the 1980s. The evidence against the Esteelmer Reyes Girón and Heriberto Valdez Asig included eyewitness testimony, documentary evidence, and expert reports on history, military structure, gender, forensic anthropology and the long-term psychological and physical affects of sexual violence. 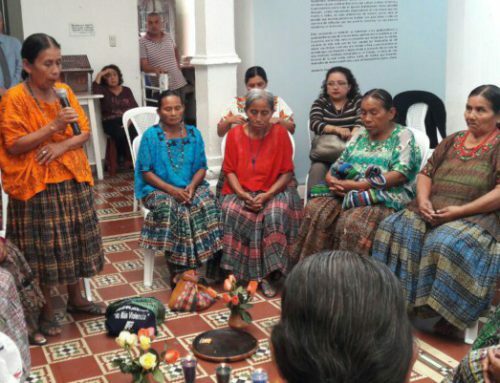 The testimonies given by 15 Q’eqchi women during pre-trial evidentiary hearings in 2012 were projected into the courtroom as part of the trial, giving firsthand accounts of extreme sexual violence experienced at the hands of the Guatemalan military. Public Prosecutor Hilda Pineda asked the court to find both men guilty of crimes against humanity and requested a sentence of 1,200 years in prison for Esteelmer Reyes Girón and 340 years for Heriberto Valdez Asig. The notable presence of women making history in the courtroom has been a source of commentary nationally and internationally. 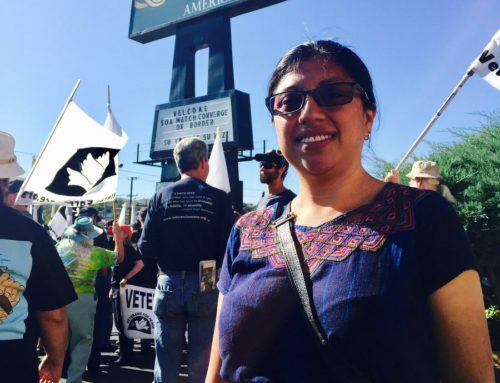 Women are represented in all aspects of the trial, from the presiding judge –Yassmín Barrios, who ruled in the genocide trial against Ríos Montt– to the prosecution and even defense team. 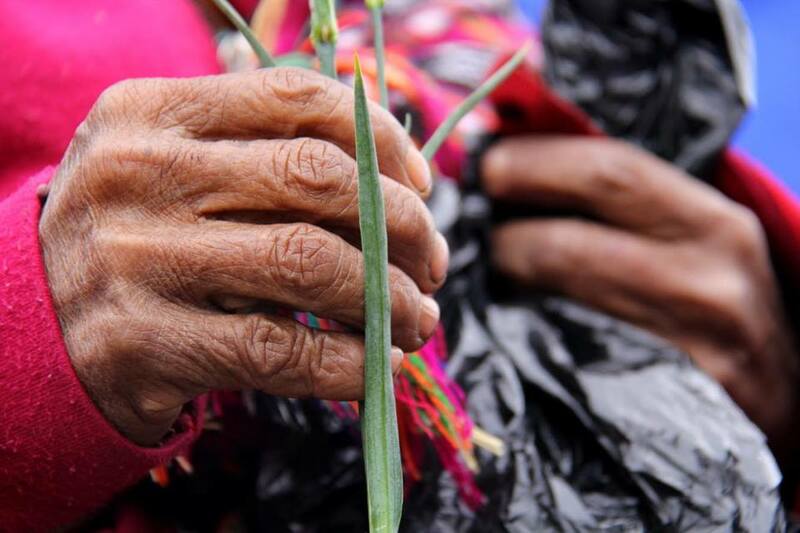 Central to the years-long process of bringing this case to trial are the witnesses and survivors of Jalok U, backed by powerful women’s organizations, including Women Transforming the World (MTM, in Spanish) and UNAMG. 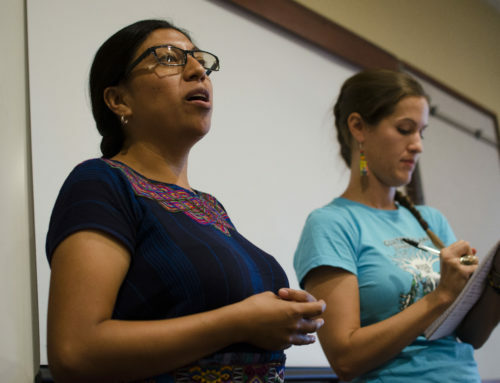 There has been a strong presence of feminist and women’s organizations demonstrating solidarity outside and inside the courtroom, as well as trial observation by Nobel Peace Laureates Jody Willams and Rigoberta Menchú and the UN Special Rapporteur on the Rights of Indigenous Peoples’ Victoria Tauli Corpuz. Inevitably, racism and patriarchy were a constant throughout the trial, both in and out of the courtroom. Concluding remarks from defense lawyer Moisés Galindo in particular provoked outrage on social media yesterday when he referred to the women survivors as “prostitutes” who found themselves without a husband in the 1980s and traded sexual and domestic services for the soldiers in return for financial benefits. Galindo went on to pervert the concept of re-victimization saying that women survivors were re-victimized by having had to sit through 20 days in a courtroom and hear stories reminding them of difficult moments when they had to “sell their bodies”. 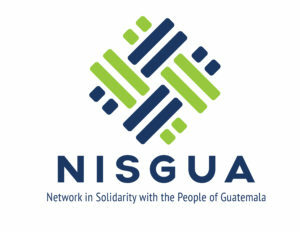 Join NISGUA_Guate at 4pm CST live on Twitter as we bear witness to this historic moment. 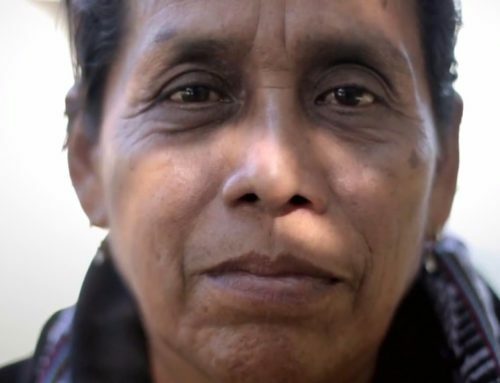 NISGUA, through the ACOGUATE project, has provided international human rights accompaniment to Sepur Zarco plaintiffs Mujeres Transformando el Mundo (Women Transforming the World) since 2011, with expanded courtroom observation provided throughout the trial. We call upon our base and international supporters to remain attentive to this case, as risk for plaintiffs continues to be a concern post-verdict.